Say, 'I do', on the banks of a gorgeous 40 acre lake with Tyler Hill’s most iconic image, our placid and majestic lake, as your backdrop. The Lakeside Lawn is an intimate ceremony setting with an unbeatable backdrop. The feature indoor facility at Tyler Hill is our lakeside dining hall that sits atop our campus with a view of the lake. 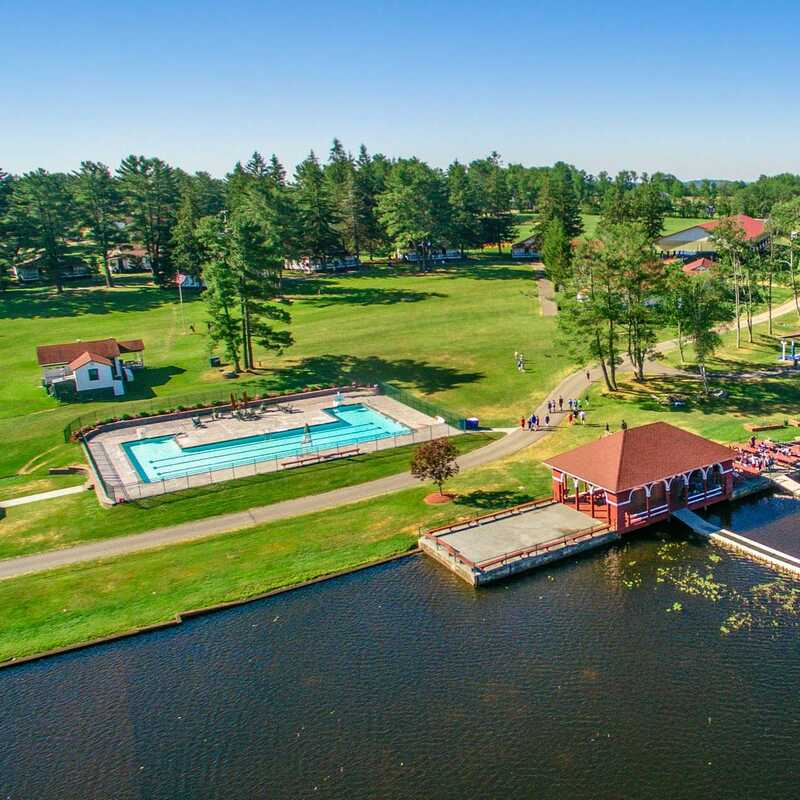 The large traditional camp-style building is highlighted by a beautiful front porch and oversized windows that look over the lake. 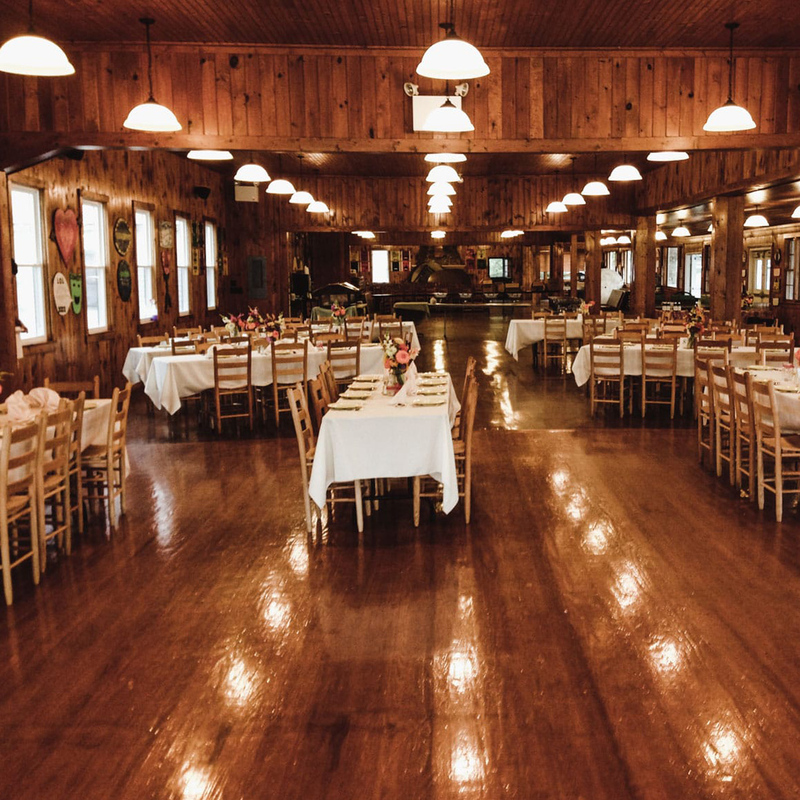 It is the perfect indoor reception or ceremony space and seats up to 400 guests.